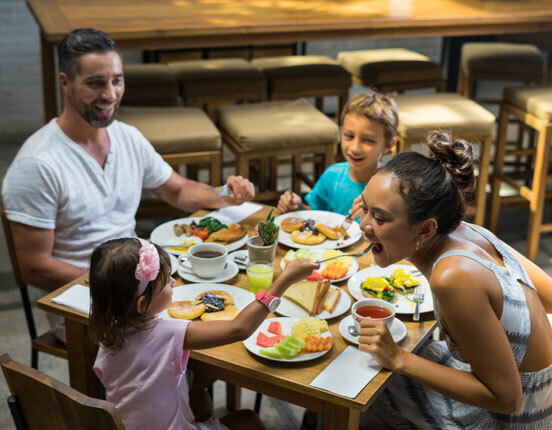 Livingstone Cafe & Bakery opens daily for breakfast, lunch, and dinner for Kokonut Suites’ guests and of course for public. 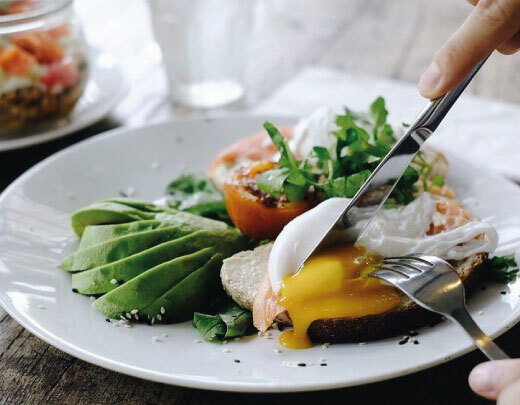 The daily breakfast for Kokonut Suites’ guests are available upon request. Imagine the buzzing noise of coffee machine with the aroma of fresh espresso, along with fresh breakfast to start your day in the morning, or having your afternoon tea while reading a book with smooth relaxing music in the background, or having an intimate dinner with your loved in the evening, Livingstone is all about that. 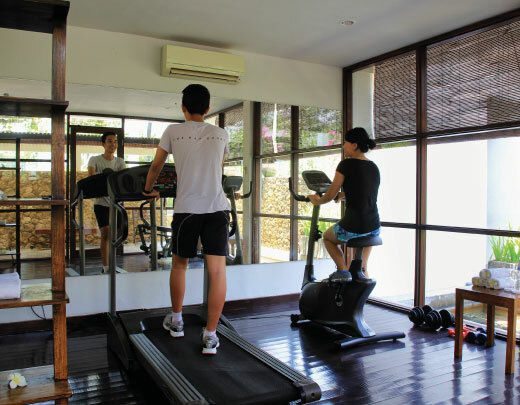 Our exercise room is located right by the pool so you can make the most of your physical exercise. With adequately standardized equipment and air conditioned room, you definitely will get both the health and comfort that you are looking for. 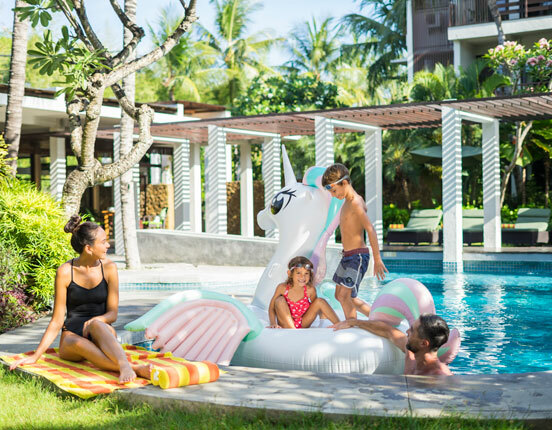 Our uniquely shaped pool is available for those who are looking for a moment of refreshment after a long and exciting day of travelling, walking and shopping around Bali with family, friends and loved ones. After swimming, take a short break by sipping your cold beverage at the bar lounge or lay around at the available daybeds by the pool. 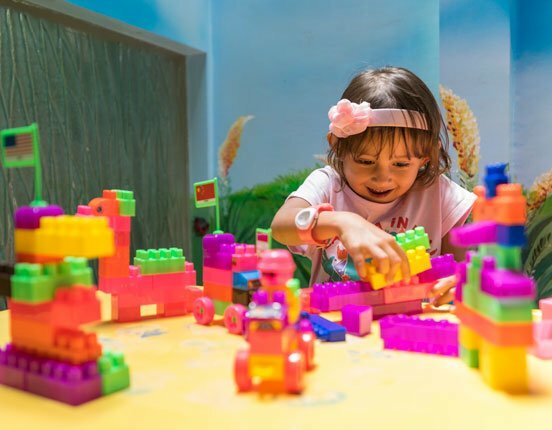 Our kids' corner opens every day from 10 AM to 8 PM. Babysitter is available upon request with hourly additional charge. Fun games and playstation provided will surely be a great way for your kids to spend their time during your stay at Kokonut Suites.